Join Barts Pathology Museum for a very special evening with bestselling author and forensic anthropologist Kathy Reichs who will be appearing at Barts Pathology Museum on 16th September 2014! This exclusive evening is Kathy’s first stop on her UK tour to mark publication of her new novel Bones Never Lie. She will be giving a fascinating illustrated talk on forensic anthropology and how forensics has influenced her writing career. 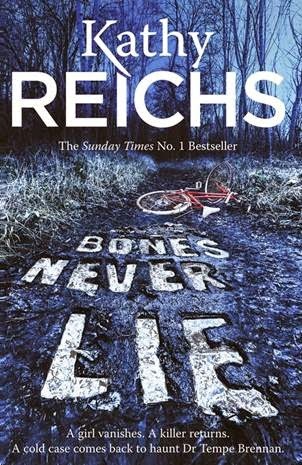 From teaching FBI agents how to detect and recover human remains, to separating and identifying commingled body parts in her Montreal lab, as a forensic anthropologist Kathy Reichs has brought her own dramatic work experience to her mesmerising thrillers. For years she consulted to the Office of the Chief Medical Examiner in North Carolina, and continues to do so for the Laboratoire de Sciences Judiciaires et de Médecine Légale for the province of Québec. Dr. Reichs has travelled to Rwanda to testify at the UN Tribunal on Genocide, and helped exhume a mass grave in Guatemala. As part of her work at JPAC (Formerly CILHI) she aided in the identification of war dead from World War II, Korea, and Southeast Asia. Dr. Reichs also assisted with identifying remains found at ground zero of the World Trade Center following the 9/11 terrorist attacks. Dr. Reichs is one of only eighty-two forensic anthropologists ever certified by the American Board of Forensic Anthropology. She served on the Board of Directors and as Vice President of both the American Academy of Forensic Sciences and the American Board of Forensic Anthropology, and is currently a member of the National Police Services Advisory Council in Canada. She is a Professor in the Department of Anthropology at the University of North Carolina-Charlotte. A native of Chicago, she now divides her time between Charlotte, NC and Montreal, Québec. Tickets cost £13.90 and can be bought from Eventbrite.